The early-bird pass from the 2017 Festival du nouveau cinema is a great deal! Big film fan? Got time to see lots of films? Montreal’s Festival du nouveau cinéma has got a deal for you! Several deals, really. You’ll have to move fast though, because Monday, Sept. 25, 2017 is the last day to take advantage of some extra-special prices. On Tuesday, Sept. 26, 2017, the film lineup and schedule will be made public. But until then, you can get an early-bird pass for $150. Students (with a student ID card) and seniors (65 and older) will pay $125. The pass is good for all films except the opening one (Blade Runner 2049!) the closing one, and the Stereoscopic – Dear Criminals 3D show. Is it a gamble to buy a pass without knowing which films will be shown? Based on my past experience, I would say, not at all! Last year, the festival showed 138 features and 170 shorts from 62 countries, including works from Wim Wenders, Jim Jarmusch, Andrea Arnold, Lav Diaz, Werner Herzog, Hong Sang-soo, Hirokazu Kore-Eda, Kiyoshi Kurosawa, Bruce McDonald, Kim Nguyen, Park Chan-wook, Ulrich Seidl, Sion Sono, and Bertrand Tavernier. There were dramas, comedies, fantasies, documentaries, European TV episodes and films suitable for children. There were two interactive films where audience members made decisions for onscreen characters via apps on their smart phones or tablets. Blade Runner 20149 is the opening fim of the 2017 Festival du nouveau cinema. 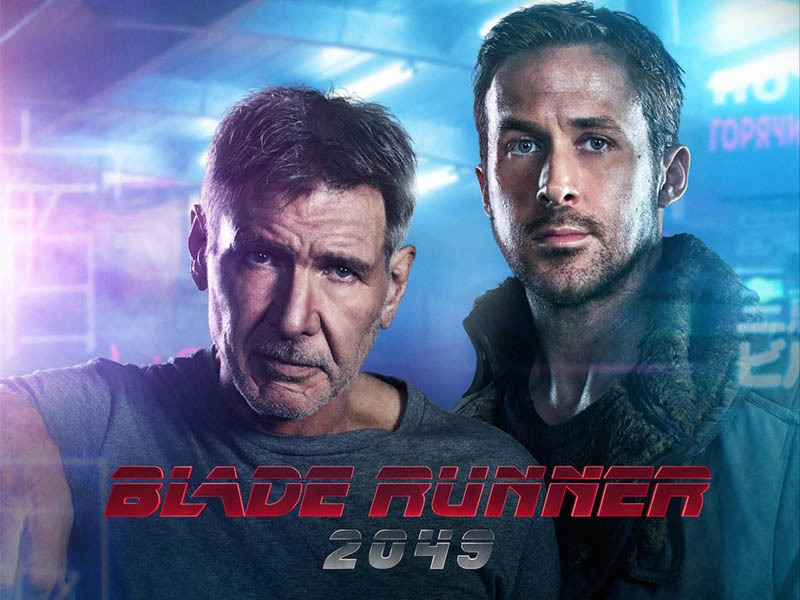 Harrison Ford and Ryan Gosling are the stars; the film was directed by Montreal’s own Denis Villeneuve. Apart from Blade Runner 20149, we also know that the zombie flick Les Affamés, from Québécois director Robin Aubert is on the schedule. It won the award for Best Canadian Feature Film at the recent Toronto International Film Festival. Marc-André Grondin, Monia Chokri and Micheline Lanctôt are among the stars. I’ve never had a problem at the Festival du nouveau cinéma finding enough films that appealed to me, my only difficulty was making a schedule that included as many of them as possible. I have a friend who is a true film festival fiend. He often sees 60 to 70 films at a typical Montreal festival. If he did see 70 films at FNC, each one would cost him a mere $2.14 with the $150 pass or $2.86 with the $200 pass. If he only saw 30 films, that would work out to $5 or $6.66 each. Still a great deal! The Festival du nouveau cinéma will run from Oct. 5 to Oct. 15, 2017 in Montreal. Films will be shown at Cinéma du Parc, Cinéma Impérial, Cinémathèque québécoise, Cineplex Odeon Quartier Latin. Buy early bird passes here. Visit the FNC ticket information page for more ticket options.